I'm a firm believer that breakfast is the most important meal of the day and it also just happens to be my favourite. It's usually only the weekends that I get to slow down and enjoy a leisurely breakfast myself, but I always make the effort for the kids during the week so that I can send them off to school knowing that their bellies are full and they're all set until lunchtime. 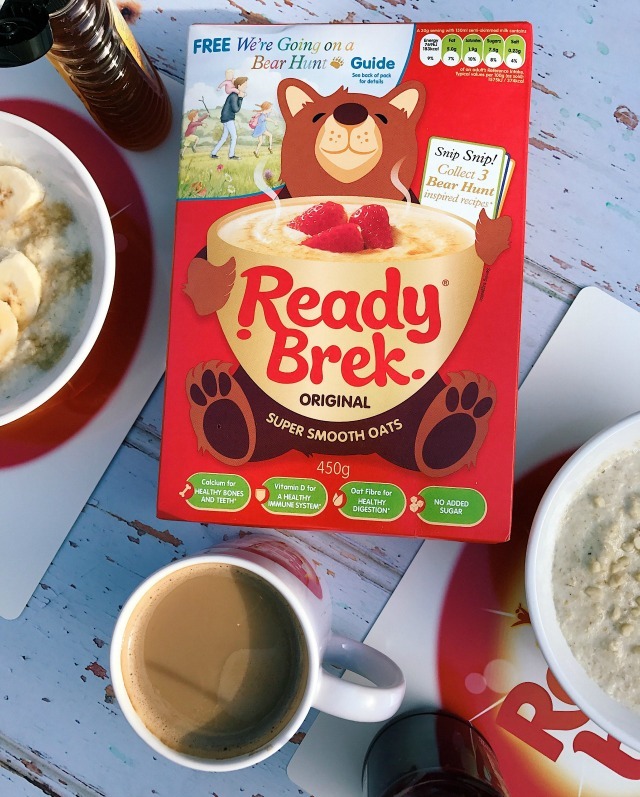 The original Ready Brek is one of our favourite breakfast cereals - and what a great way to kick start the day! Made from wholegrain rolled oats, rich in calcium and vitamin D, and with no added salt or sugar, it's both healthy and nutritious - and with unlimited combinations of toppings it never gets boring either. The girls love to top theirs with banana and honey, or jam and chopped nuts, and on Friday mornings it's tradition to have it with a dollop of chocolate hazelnut spread (and a side of fresh fruit too). 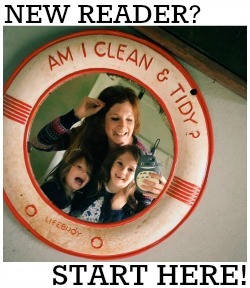 From a mum's point of view, I love that it's so quick to make - you just need to heat up a pan of milk on the hob or put it in the microwave - but it's still a really hearty and warming breakfast, full of slow release energy, that's perfect before the walk to school on a chilly autumn morning. I never have time to sit down for breakfast during the week but I still like to make sure I eat well. A current favourite is to whizz up a Ready Brek fuelled smoothie in the NutriBullet, which I can then drink on the go. 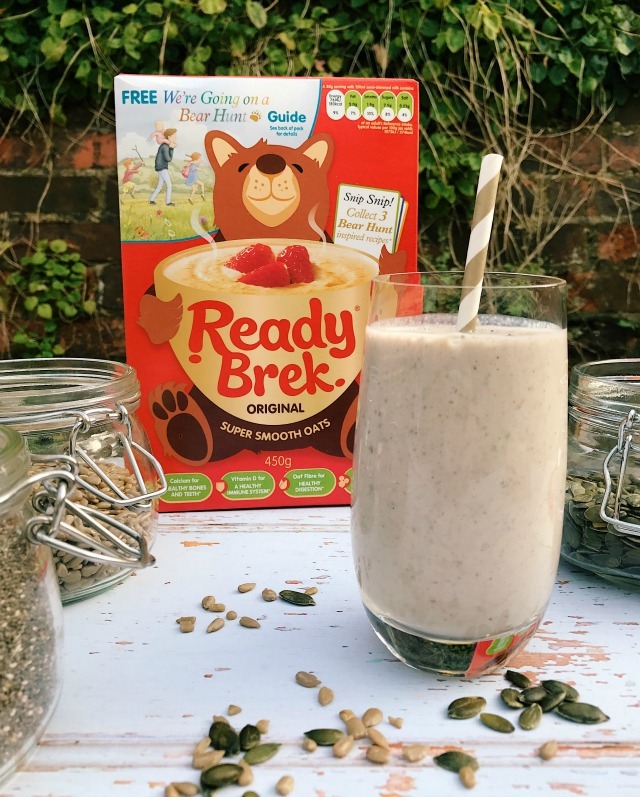 The Ready Brek really fills you up, and as the oats are rolled so finely they are super smooth and easy-to-drink! 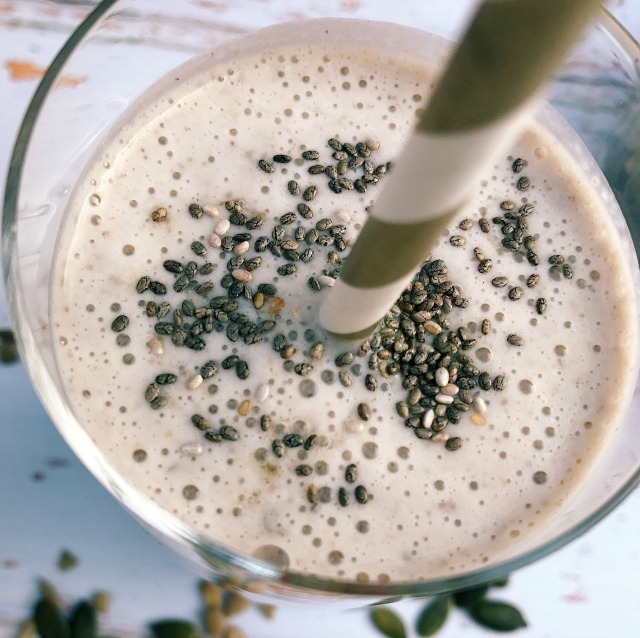 Here's my recipe for Banana + Honey Ready Brek Smoothies with Chia, Sunflower + Pumpkin Seeds which a few of you asked for after I featured it on my Instagram Stories earlier this week. Add all the ingredients to a blender. 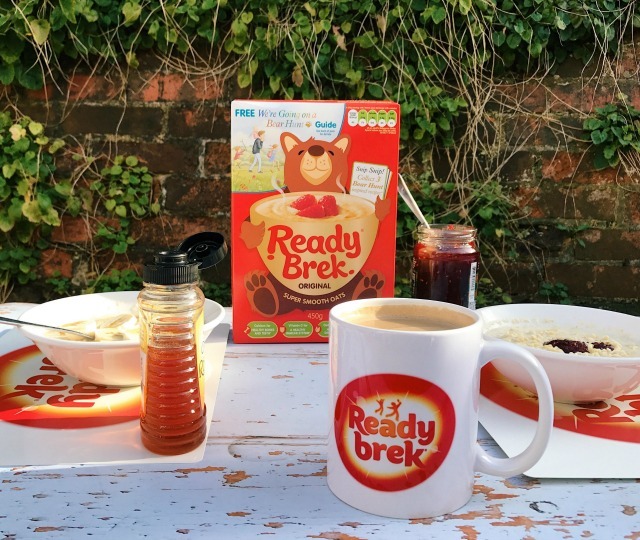 I tend to use around three tablespoons of Ready Brek and then top it up with around a third of a pint of milk* but you can experiment to come up with your perfect consistency. Chop up the banana and add it, along with a spoonful of honey and a sprinkling of each of the seeds. *Can also be made with hot milk on an extra chilly day!